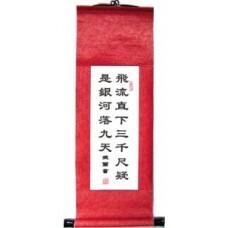 About the Poem and Writer: This famous Chinese poem was written by Li Bai (701-762). He is widely regarded as the best Chinese poet who has ever lived. Thousands of his poem are well known and have been classics. His poems are filled with romance, beauty, and emotion. He wrote this poem depicting the natural beauty of the waterfall in LuShan Mountain. In typical, Li Bai style, he uses many vivid verbs to let the reader feel as if they are right in front of the waterfall themselvs. Poem Translation: The water fall’s torrent dashes down three thousand feet from high, As if the Silver River fell from azure sky. 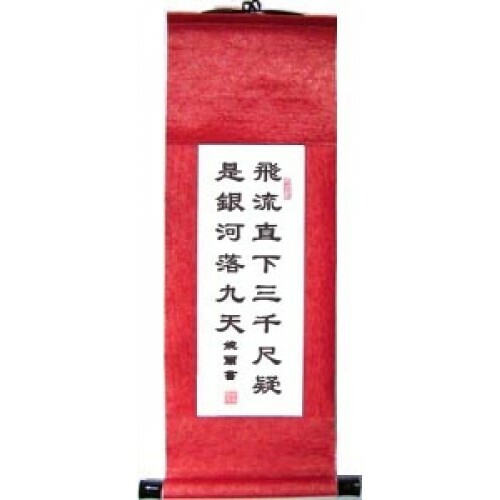 The red scroll photo is a computerized image representing what the characters in the scroll are. 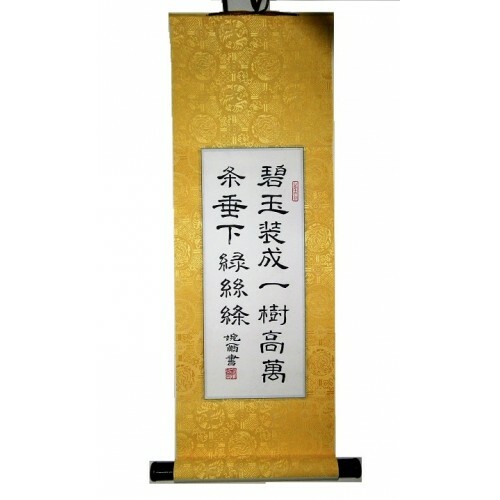 The gold scroll photo is an actual hand painted scroll, but the characters may be different. 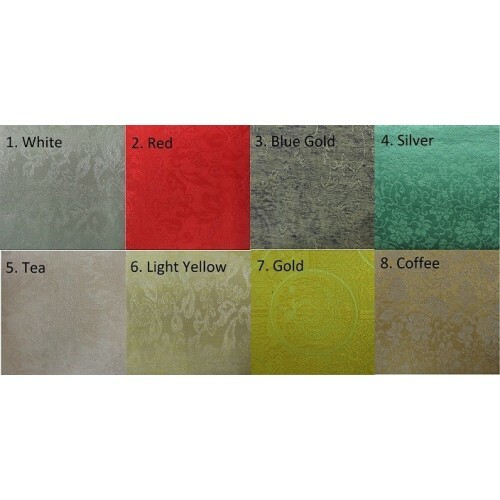 All scrolls are 100% hand made and hand painted. Script: Poem will be written in the Lishu official calligraphy script. This popular style is clear and smooth.